Acromegaly is a rare disease, caused largely by a growth hormone (GH) pituitary adenoma. Incidence is higher than previously thought. Due to increased morbidity and mortality, if not appropriately treated, early diagnosis efforts are essential. Screening is recommended for all patients with clinical features of GH excess. There is increased knowledge that classical diagnostic criteria no longer apply to all, and some patients can have GH excess with normal GH response to glucose. Treatment is multifactorial and personalised therapy is advised. Maria Fleseriu has been a principal investigator with research support to Oregon Health & Science University for clinical research studies with Novartis, Chiasma and Pfizer, and she has been an occasional scientific consultant for Novartis, Pfizer, Ipsen, Ionis and Chiasma. Roula Zahr has no conflict of interest. GH stimulates synthesis of insulin-like growth factor 1 (IGF-1) from the liver and systemic tissues. Hypersecretion of GH leads to excess production of IGF-1. IGF-1 mediates most of the phenotypic features and metabolic effects of GH, but GH excess also has direct detrimental effects.1,7 Acromegaly is associated with increased morbidity and mortality, but mortality returns to that of the normal population after appropriate treatment and biochemical normalisation.8,9 This review focusses on several recent updates related to acromegaly diagnosis and treatment. Screening is recommended for all patients presenting with clinical features of acromegaly (such as mass tumour effects, systemic effects of GH/IGF-1 excess, cardiovascular and metabolic features, respiratory and bone/joint manifestations and/or other endocrine consequences). However, screening may also be considered in patients with several medical conditions known to be associated with acromegaly such as type 2 diabetes mellitus, carpal tunnel syndrome, debilitating arthritis, hypertension and sleep apnoea.10–12 Awareness of these comorbidities is critical for early detection of acromegaly. In summary, the most important update in screening and diagnosis is an increased knowledge and acceptance of the fact that classical diagnostic criteria of acromegaly no longer apply to all patients. Intermediate granulated somatotroph adenomas have similar clinical behaviour to DGSA. Both acidophil stem cell and plurihormonal adenomas have been associated with aggressive behaviour, while clinical behaviour of silent somatotroph adenomas is variable, but often aggressive.51–53 It is essential that pathology defines the exact type of GH pituitary adenoma in all patients undergoing surgery, as it has been proven to predict both clinical and biochemical outcomes. 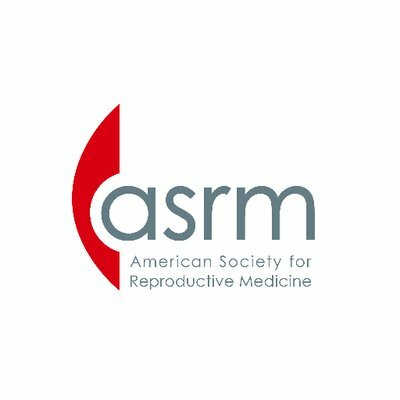 In patients resistant to first-generation SRLs, alternative options are high-dose regimens of SRL, pegvisomant, combination therapy of SRL with either cabergoline or pegvisomant, or the use of pasireotide.67 Pasireotide is a next-generation SRL recently approved for the treatment of acromegaly not cured by surgery or when surgery is not an option. As a first-line therapy, pasireotide LAR resulted in higher rates of hormonal control and tumour size reduction compared to octreotide LAR.68 In 130 patients resistant to first-generation SRL randomised to pasireotide LAR 40 mg or 60 mg, a complete biochemical response was achieved in 15% and 20%, respectively.69 The safety profile is similar to first-generation SRLs, except for hyperglycaemia, which occurred more frequently and more severely with pasireotide.68,70 The frequency of hyperglycaemia was similar in responders and non-responders to pasireotide. 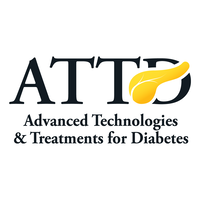 Baseline glucose status (fasting levels >100 mg/dL) is a potential predictive factor to higher glucose and haemoglobin A1C after treatment.71 The reduction in insulin and incretin hormones secretion are thought to be contributors, but the exact mechanisms are not completely understood72,73 and further studies are ongoing. Patients with a higher degree of resistance to SRL monotherapy should be considered for combined SRL-pegvisomant13,14 or pasireotide treatment.67 Combined therapy of SRL and pegvisomant in patients with uncontrolled disease on SRL had a high rate of efficacy in different studies, 62–100%, in both primary and adjuvant therapy.77,78 Differences in reported outcomes are likely related to many factors including heterogeneity in study designs such as IGF-1 assays, inclusion/exclusion criteria, and inconsistent medications dosing and titration protocols. Another factor is the different IGF-1 criteria used to define efficacy, with some studies using the lowest achieved IGF-1 level at any point versus the level at the end of study in others. Switching 61 patients with well-controlled disease on a combined therapy of pegvisomant-first-generation SRL to pasireotide LAR resulted in a 66% reduction in pegvisomant dose, while 67% of patients could discontinue pegvisomant at 24 weeks.79 All combination treatment therapies have potentially higher rates of adverse events than single treatment therapy, and therefore patients require close monitoring. Novel insights into the diagnosis and pathophysiology of acromegaly have been acquired over recent years. Increased awareness of assay technical issues and discordant results affecting the biochemical assessment of the disease will ensure prompt diagnosis and initiation of treatment. Expanded knowledge on the histological and molecular levels, and development of new markers of response and resistance to SRL emphasised the importance of a personalised approach rather than following a universal algorithm for therapy. Future studies are needed to clarify the role of innovative formulation, combination and peri-operative pharmacotherapy on disease remission rate and patient QoL. The treatment of acromegaly remains multimodal for most patients and a multidisciplinary team is essential for optimal disease management and outcome. 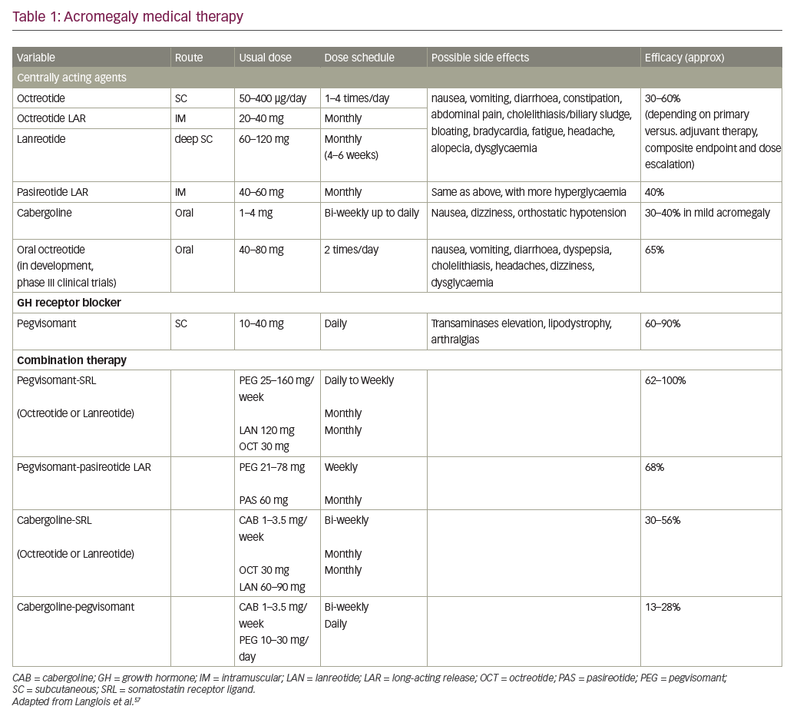 Melmed S, Acromegaly pathogenesis and treatment. J Clin Invest. 2009;119:3189–202. Daly AF, et al. 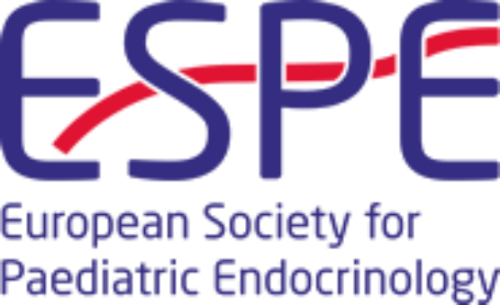 High prevalence of pituitary adenomas: a cross-sectional study in the province of Liege, Belgium. J Clin Endocrinal Metab. 2006;91;4769–75. Fernandez A, Karavitaki N Wass JA. Prevalence of pituitary adenomas: a community-based, cross-sectional study in Banbury (Oxfordshire, UK). Clin Endocrinol (Oxf). 2010;72;377–82. Burton T, et al. Incidence and prevalence of acromegaly in a large US health plan database. Pituitary. 2016;19;262–7. Capatina C, Wass JA. 60 years of neuroendocrinology: acromegaly. J Endocrinol. 2015;226:T141–60. Reid TJ et al. Features at diagnosis of 324 patients with acromegaly did not change from 1981 to 2006: acromegaly remains under-recognized and under-diagnosed. Clin Endocrinol (Oxf). 2010;72:203–8. Vilar L et al. Acromegaly: clinical features at diagnosis. Pituitary, 2017;20:22–32. Dekkers OM et al. Mortality in acromegaly: a metaanalysis. J Clin Endocrinol Metab. 2008;93:61–7. Holdaway IM, Bolland MJ, Gamble GD. A meta-analysis of the effect of lowering serum levels of GH and IGF-I on mortality in acromegaly. Eur J Endocrinol. 2008;159:89–95. Sesmilo G, et al. Prevalence of acromegaly in patients with symptoms of sleep apnea. PLoS One. 2017;12:e0183539. Rosario PW Frequency of acromegaly in adults with diabetes or glucose intolerance and estimated prevalence in the general population. Pituitary. 2011;14:217–21. Molitch ME. Clinical manifestations of acromegaly. Endocrinol Metab Clin North Am. 1992;21:597–614. Katznelson L, et al. 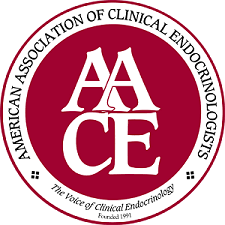 Acromegaly: an endocrine society clinical practice guideline. J Clin Endocrinol Metab. 2014;99:3933–51. Melmed S, et al. A consensus on the diagnosis and treatment of acromegaly complications. Pituitary. 2013;16:294–302. Frystyk J, Freda P, Clemmons DR. The current status of IGF-I assays – a 2009 update. Growth Horm IGF Res. 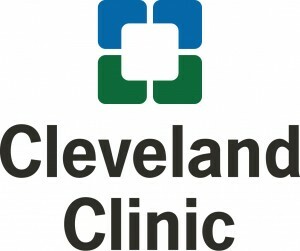 2010;20:8–18. Pokrajac A, et al. Variation in GH and IGF-I assays limits the applicability of international consensus criteria to local practice. Clin Endocrinol (Oxf). 2007;67:65–70. Bidlingmaier M, et al. Reference intervals for insulin-like growth factor-1 (igf-i) from birth to senescence: results from a multicenter study using a new automated chemiluminescence IGF-I immunoassay conforming to recent international recommendations. J Clin Endocrinol Metab. 2014;99:1712–21. Clemmons DR. Consensus statement on the standardization and evaluation of growth hormone and insulin-like growth factor assays. Clin Chem. 2011;57:555–9. Arafat AM, et al. Growth hormone response during oral glucose tolerance test: the impact of assay method on the estimation of reference values in patients with acromegaly and in healthy controls, and the role of gender, age, and body mass index. J Clin Endocrinol Metab. 2008;93:1254–62. Giustina A, et al. A consensus on criteria for cure of acromegaly. J Clin Endocrinol Metab. 2010;95:3141–8. Brick DJ, et al. Determinants of IGF1 and GH across the weight spectrum: from anorexia nervosa to obesity. Eur J Endocrinol. 2010;163:185–91. Smith WJ, Underwood LE, Clemmons DR. Effects of caloric or protein restriction on insulin-like growth factor-I (IGF-I) and IGF-binding proteins in children and adults. J Clin Endocrinol Metab. 1995;80:443–9. Hartman ML, Veldhuis JD, Thorner MO. Normal control of growth hormone secretion. Horm Res. 1993;40:37–47. Gunawardane K, et al. Normal Physiology of Growth Hormone in Adults. In De Groot LJ et al. (eds). Endotext. MDText.com; South Dartmouth (MA). 2000. Wideman L, et al. Growth hormone release during acute and chronic aerobic and resistance exercise: recent findings. Sports Med. 2002;32:987–1004. Elijah IE, et al. 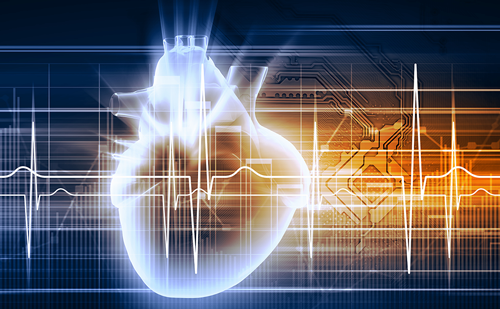 The GH/IGF-1 system in critical illness. Best Pract Res Clin Endocrinol Metab. 2011;25:759–67. Muhammad A, Neggers SJ, van der Lely AJ, Pregnancy and acromegaly. Pituitary,. 2017;20:179–184. Rabkin R. Growth factor insensitivity in renal failure. Ren Fail. 2001;23:291–300. Anderwald CH, et al. Whole-body insulin sensitivity rather than body-mass-index determines fasting and post-glucose-load growth hormone concentrations. PLoS One. 2014;9:e115184. Brambilla F, et al. Growth hormone and insulin-like growth factor 1 secretions in eating disorders: correlations with psychopathological aspects of the disorders. Psychiatry Res. 2017;263:233–237. DeBoer MD, et al. Systemic inflammation, growth factors, and linear growth in the setting of infection and malnutrition. Nutrition. 2017;33:248–53. Donaghy A, et al. Growth hormone, insulinlike growth factor-1, and insulinlike growth factor binding proteins 1 and 3 in chronic liver disease. Hepatology. 1995;21:680–8. Butz LB, et al. ‘Micromegaly’: an update on the prevalence of acromegaly with apparently normal GH secretion in the modern era. Pituitary. 2016;19:547–51. Freda PU, et al. Basal and glucose-suppressed GH levels less than 1 microg/L in newly diagnosed acromegaly. Pituitary. 2003;6:175–80. Carmichael JD, et al. The utility of oral glucose tolerance testing for diagnosis and assessment of treatment outcomes in 166 patients with acromegaly. J Clin Endocrinol Metab. 2009;94: 523–7. Elias PC, et al. Discordant nadir GH after oral glucose and IGF-I levels on treated acromegaly: refining the biochemical markers of mild disease activity. Horm Metab Res. 2010;42:50–5. Sherlock M, et al. Monitoring disease activity using GH and IGF-I in the follow-up of 501 patients with acromegaly. Clin Endocrinol (Oxf). 2009;71:74–81. Potorac I, et al. Pituitary MRI characteristics in 297 acromegaly patients based on T2-weighted sequences. Endocr Relat Cancer, 2015;22:169–77. Puig-Domingo M, et al. Magnetic resonance imaging as a predictor of response to somatostatin analogs in acromegaly after surgical failure. J Clin Endocrinol Metab. 2010;95:4973–8. Potorac I, et al. T2-weighted MRI signal predicts hormone and tumor responses to somatostatin analogs in acromegaly. Endocr Relat Cancer. 2016;23:871–81. Heck A, et al. Quantitative analyses of T2-weighted MRI as a potential marker for response to somatostatin analogs in newly diagnosed acromegaly. Endocrine. 2016;52:333–43. Shen M, et al. Predictive value of T2 relative signal intensity for response to somatostatin analogs in newly diagnosed acromegaly. Neuroradiology. 2016;58:1057–65. Lloyd R, Osamura R, Klöppel G, Rosai J. WHO Classification of Tumours of Endocrine Organs. Fourth edition, volume 10 (IARC Publications: Lyon, France, 2017). Lopes MBS. The 2017 World Health Organization classification of tumors of the pituitary gland: a summary. Acta Neuropathol. 2017;134:521–35. Syro LV, et al. Pathology of GH-producing pituitary adenomas and GH cell hyperplasia of the pituitary. Pituitary. 2017;20:84–92. Lopes MB, Growth hormone-secreting adenomas: pathology and cell biology. Neurosurg Focus. 2010;29:E2. Horvath E, Kovacs K, Pathology of acromegaly. Neuroendocrinology. 2006;83:161–5. Brzana J, et al. Growth hormone granulation pattern and somatostatin receptor subtype 2A correlate with postoperative somatostatin receptor ligand response in acromegaly: a large single center experience. Pituitary. 2013;16:490–8. Heck A. et al. Intensity of pituitary adenoma on T2-weighted magnetic resonance imaging predicts the response to octreotide treatment in newly diagnosed acromegaly. Clin Endocrinol (Oxf). 2012;77:72–8. Cuevas-Ramos D, et al. A structural and functional acromegaly classification. J Clin Endocrinol Metab. 2015;100:122–31. Mete O, Asa SL, Clinicopathological correlations in pituitary adenomas. Brain Pathol. 2012;22:443–53. Erickson D, et al. Silent subtype 3 pituitary adenoma: a clinicopathologic analysis of the Mayo Clinic experience. Clin Endocrinol (Oxf). 2009;71:92–9. Chinezu L, et al. Silent GH pituitary tumour: diagnostic and therapeutic challenges. Ann Endocrinol (Paris). 2013;74:491–5. Starke RM, et al. Endoscopic vs microsurgical transsphenoidal surgery for acromegaly: outcomes in a concurrent series of patients using modern criteria for remission. J Clin Endocrinol Metab. 2013;98:3190–8. Anik I, et al. Endoscopic transsphenoidal approach for acromegaly with remission rates in 401 patients: 2010 consensus criteria. World Neurosurg. 2017;108:278–90. Schofl C, et al. Long-term outcome in patients with acromegaly: analysis of 1344 patients from the German Acromegaly Register. Eur J Endocrinol. 2013;168:39–47. Langlois F, McCartney S, Fleseriu M, Recent progress in the medical therapy of pituitary tumours. Endocrinol Metab (Seoul). 2017;32:162–70. Tritos NA, et al. Effectiveness of first-line pegvisomant monotherapy in acromegaly: an ACROSTUDY analysis. Eur J Endocrinol. 2017;176:213–20. van der Lely AJ, et al. Long-term safety of pegvisomant in patients with acromegaly: comprehensive review of 1288 subjects in ACROSTUDY. J Clin Endocrinol Metab. 2012;97:1589–97. Carmichael JD, et al. Acromegaly clinical trial methodology impact on reported biochemical efficacy rates of somatostatin receptor ligand treatments: a meta-analysis. J Clin Endocrinol Metab. 2014;99:1825–33. Annamalai AK, et al. A comprehensive study of clinical, biochemical, radiological, vascular, cardiac, and sleep parameters in an unselected cohort of patients with acromegaly undergoing presurgical somatostatin receptor ligand therapy. J Clin Endocrinol Metab. 2013;98:1040–50. Caron PJ, et al. Tumor shrinkage with lanreotide Autogel 120 mg as primary therapy in acromegaly: results of a prospective multicenter clinical trial. J Clin Endocrinol Metab. 2014;99:1282–90. Mercado M, et al. A prospective, multicentre study to investigate the efficacy, safety and tolerability of octreotide LAR (long-acting repeatable octreotide) in the primary therapy of patients with acromegaly. Clin Endocrinol (Oxf). 2007;66:859–68. Giustina A, et al. Meta-analysis on the effects of octreotide on tumor mass in acromegaly. PLoS One, 2012;7:e36411. Caron PJ, et al. Effects of lanreotide Autogel primary therapy on symptoms and quality-of-life in acromegaly: data from the PRIMARYS study. Pituitary. 2016;19:149–57. Kyriakakis N, et al. Impaired quality of life in patients with treated acromegaly despite long-term biochemically stable disease: results from a 5-years prospective study. Clin Endocrinol (Oxf). 2017;86:806–15. Lim DS, Fleseriu M, The role of combination medical therapy in the treatment of acromegaly. Pituitary. 2017;20:136–48. Colao A, et al. Pasireotide versus octreotide in acromegaly: a head-to-head superiority study. J Clin Endocrinol Metab. 2014;99:791–9. Gadelha MR, et al. Pasireotide versus continued treatment with octreotide or lanreotide in patients with inadequately controlled acromegaly (PAOLA): a randomised, phase 3 trial. Lancet Diabetes Endocrinol. 2014;2:875–84. Fleseriu M, et al. Safety and tolerability of pasireotide long-acting release in acromegaly-results from the acromegaly, open-label, multicenter, safety monitoring program for treating patients who have a need to receive medical therapy (ACCESS) study. Endocrine. 2017;55:247–55. Schmid HA, et al. Effect of pasireotide on glucose- and growth hormone-related biomarkers in patients with inadequately controlled acromegaly. Endocrine. 2016;53:210–9. Henry RR, et al. Hyperglycemia associated with pasireotide: results from a mechanistic study in healthy volunteers. J Clin Endocrinol Metab. 2013;98:3446–53. Breitschaft A, et al. 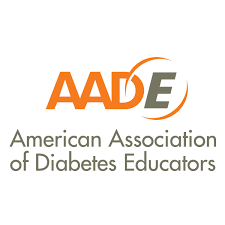 Management of hyperglycemia associated with pasireotide (SOM230): healthy volunteer study. Diabetes Res Clin Pract. 2014;103:458–65. Chanson P, et al. Pegvisomant treatment in patients with acromegaly in clinical practice: the French ACROSTUDY. Ann Endocrinol (Paris). 2015;76:664–70. Mazziotti G, et al. Effects of somatostatin analogs on glucose homeostasis: a metaanalysis of acromegaly studies. J Clin Endocrinol Metab. 2009;94:1500–8. Suda K, et al. Efficacy of combined octreotide and cabergoline treatment in patients with acromegaly: a retrospective clinical study and review of the literature. Endocr J. 2013;60:507–15. Puig-Domingo M, et al. Use of lanreotide in combination with cabergoline or pegvisomant in patients with acromegaly in the clinical practice: the ACROCOMB study. Endocrinol Nutr. 2016;63:397–408. Neggers SJ, et al. Long-term efficacy and safety of pegvisomant in combination with long-acting somatostatin analogs in acromegaly. J Clin Endocrinol Metab. 2014;99:3644–52. Muhammad A, et al. Efficacy and safety of switching to pasireotide in patients with acromegaly controlled with pegvisomant and first-generation somatostatin analogues (PAPE Study). J Clin Endocrinol Metab. 2018;103:586–95. Melmed S, New therapeutic agents for acromegaly. Nat Rev Endocrinol. 2016;12:90–8. ClinicalTrials.gov, Study to Determine the Maximum Tolerated Dose, Safety and Tolerability of a Single Dose of Lanreotide Prolonged Release Formulation (PRF) in Subjects With Acromegaly. ClinicalTrials.gov, 2017. Melmed S, et al. Safety and efficacy of oral octreotide in acromegaly: results of a multicenter phase III trial. J Clin Endocrinol Metab. 2015;100:1699–708. Fahlbusch R, et al. Surgical debulking of pituitary adenomas improves responsiveness to octreotide lar in the treatment of acromegaly. Pituitary. 2017;20:668–75. Fleseriu M, et al. American Association of Clinical Endocrinologists and American College of Endocrinology Disease State Clinical Review: Management of acromegaly patients: what is the role of pre-operative medical therapy? Endocr Pract. 2015;21:668–73. Li ZQ, et al. Preoperative lanreotide treatment improves outcome in patients with acromegaly resulting from invasive pituitary macroadenoma. J Int Med Res. 2012;40:517–24. Mao ZG, et al. Preoperative lanreotide treatment in acromegalic patients with macroadenomas increases short-term postoperative cure rates: a prospective, randomised trial. Eur J Endocrinol. 2010;162:661–6. Zhang L, et al. Preoperative somatostatin analogs treatment in acromegalic patients with macroadenomas. A meta-analysis. Brain Dev. 2015;37:181–90. Abu Dabrh AM, et al. Radiotherapy versus radiosurgery in treating patients with acromegaly: a systematic review and meta-analysis. Endocr Pract. 2015;21:943–56. Lee CC, et al. Stereotactic radiosurgery for acromegaly. J Clin Endocrinol Metab. 2014; 99:1273–81. Gheorghiu ML, Updates in outcomes of stereotactic radiation therapy in acromegaly. Pituitary. 2017;20:154–68. Patt H, et al. High-precision conformal fractionated radiotherapy is effective in achieving remission in patients with acromegaly after failed transsphenoidal surgery. Endocr Pract. 2016;22:162–72.